So lovable, it's almost un"bearable"! This beautiful brown bear is over two feet in every dimension. 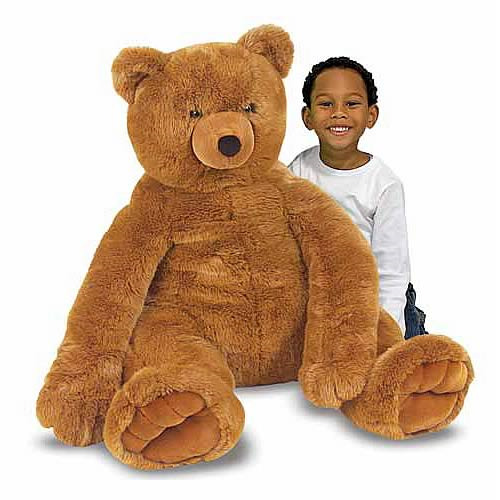 With excellent quality construction, this fabulous bear features soft, furry fabric and has a classic teddy bear look. Soft and huggable, this timeless teddy will delight bear lovers of every age. The bear sits about 24-inches tall. Ages 2 and up.